A knife sharpener is kitchen tool designed to remove, cleanly file or hone the cutting edges on the steel blades of knives and other utensils that have cutting edges. There are hand knife sharpeners and electric ones, check out my top 5 list for the best knife sharpeners . Some Knife Sharpeners are simple e.g. the sharpening stone and others are quite complex. There are many types of knife sharpeners available for home or commercial use. They come in various sizes and designs. These are also known as whetstones. They are a rectangular shaped block, about an inch thick. They are usually made from diamond ceramic or natural sharpening stones from Arkansas. These types of knife sharpeners can be used wet or dry. Use water or mineral oil to wet your sharpening stones. Note, you should never use lubricating or petroleum-based oil. They are best for sharpening very dull knives because they are able to remove a lot of material from the blade. You can also use them to sharpen tools with larger blades and other steel cutting tools such as scissors and razors. Ensure to clean your sharpening stones after use. These are made of metal or a composite base, and have an outer layer of micron-sized diamonds bonded to a metal surface through a nickel plating process. Most of them have surface holes, specially designed to prevent filing build-up. Diamond sharpeners are fast and convenient. They have different grits. You can use them wet or dry, although wet is best to prevent diamond abrasive from loading up with the shaved off steel. Just like with the sharpening stones, ensure to use water or mineral oil. Diamond stones are great because you will not cause a depression in the sharpening surface. Always clean your diamond sharpeners after use to keep them in good working order. Sharpening steels are long narrow rods made of ceramic or steel, used to hone knife blades. Their design ensures minimal contact with the blade, to avoid shaving too much material off the knife. Sharpening steels are best used before and after a knife is put to work because they deform and realign the blade to its original form. These work just like sharpening steels. Because they use steel and stone to shave off small amounts of material from the knife, they are incapable of sharpening a very dull knife. Knife hones come in various sizes and designs; some have slots that polish and hone blades and others are stones that go up and down blades. Electric knife sharpeners are usually rectangular shaped and have three slots for putting the blades. The sharpener has a motorized wheel that spins during the knife sharpening process. These types of knife sharpeners are both fast and convenient. They however give you very little control over the sharpening process. They are best for sharpening kitchen knives. Note that not all sharpeners work well with all types of knives. 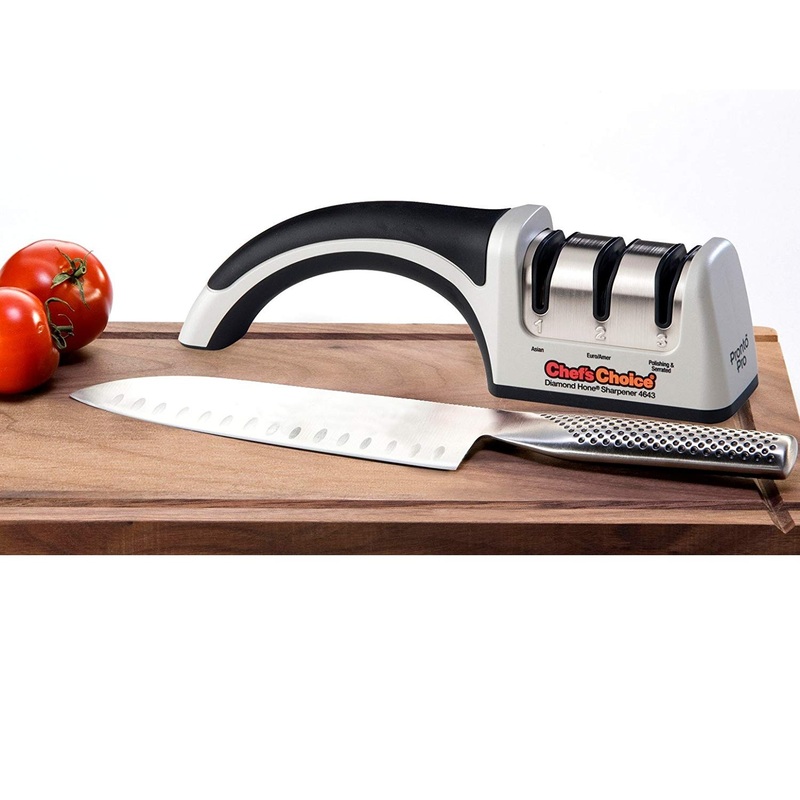 Find out the capabilities of the sharpener before using it to sharpen your knives.